Bake the Gardein Fish Free Golden Filets on 375 F, for 20 minutes. 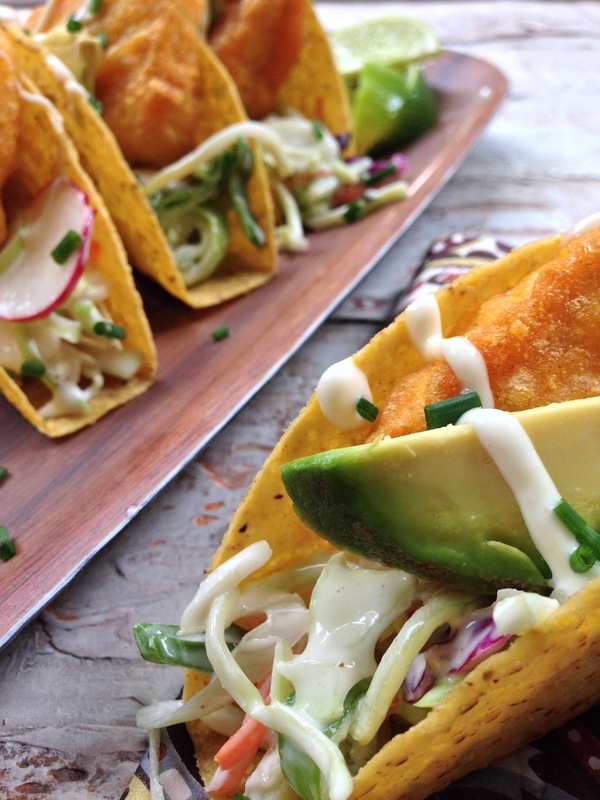 To serve the Taco , placed the cabbage slaw in the tortilla, and top with bake Golden Fillets. Puts some avocado slices and horseradish mayo on top of that. To make the slaw, stir together the vinegar, mayo and sugar in a large bowl until the sugar dissolves. Add the cabbage ,radish, greeen onion, and chives , toss to combine and season with salt and pepper.